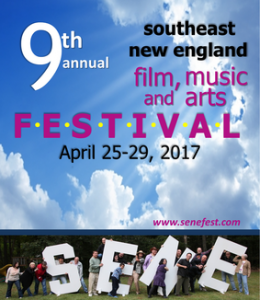 The Southeast New England (SENE) Film, Music and Arts Festival showcases amazing films across all genres, live music, art exhibits and much more. Continuing to expand in its ninth year, the festival will run April 25-29, bringing exciting opportunities for Rhode Islanders to experience vibrant new ventures in film, music and arts. The action is centered around cinema, and this year the festival will offer more than 100 screenings from filmmakers from all over the nation and the world, including more feature films and 16 short film presentations, showcasing the genres of drama, comedy, animation, documentary, LGBT interest, and horror. More than 30 submissions are from local directors. Narrative and documentary features have been selected from more than 550 submissions by a panel of local experts charged to find films that convey powerful stories and hold interest. Narrative features include three entries by local directors: an adaptation of the Shakespeare classic A Midsummer Night’s Dream by director Richard Griffin, On the 7th Date by Massachusetts-based director Chris Goodwin, and Trinity by director Skip Shea. The documentary features include Not Black Enough, a film about class warfare and the struggle of African-Americans within their community, and Arlette: Courage Is a Muscle, conveying the story of a 15-year-old girl from Central Africa. Film showings and activities take place at venues across the state, including the Columbus Theatre and Rhodywood Studio in PVD, at the Warwick Center for the Arts, and at the Arctic Playhouse in West Warwick. Three concerts will coincide with film showings. 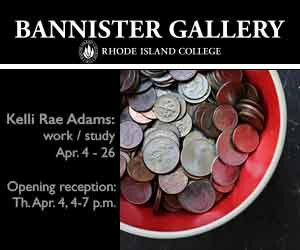 A juried art exhibit will be held at the Warwick Center for the Arts, “Exploring Abstracts,” for which tickets are $15 advance/$20 door including complimentary wine, beer, hors d’oeuvres and dessert. There will also be multiple parties and networking events. The sponsoring 501(c)(3) non-profit organization, Southeast New England Film, Music and Arts, was established by co-founders of the festival Phil Capobres and Don Farias. Alhough their main work is the planning and execution of this substantial festival, the organization has grown to be an important funding source for creative projects throughout New England and to provide programming for the annual Boston Comedy Festival. This five-day festival is packed with fun, diverse events and activities. Most single film screenings are $10, available at the door. Passes and tickets for multiple days, multiple screenings, special film programs and parties are available in advance. 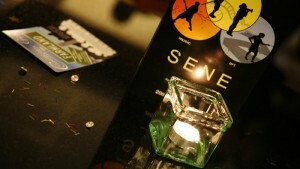 The entire schedule, film descriptions, and advance purchases of passes and tickets are at the SENE Festival web site www.senefest.com.